Welcome to the Khor Virap Monastery – once home to Saint Gregory, who helped make Georgia the first Christian country in the world. However, this is a story about early Christianity, and so you know its not going to have happy beginnings: before convincing Georgia’s king to Christianize the country, Gregory was held in a prison cell for 13 years. Visit the monastery, and you can climb down into the very same pit, all 60m of it, 1900 years after Gregory. Get up early after a visit and eat the local yoghurt soup and lavash bread while taking in the views of massive Mount Ararat. And expect to see lots of Armenians head up to the monastery – it still has real resonance for the local population, with weddings, baptisms, and even the odd animal sacrifice taking place on site. It’s just 30km away from Armenia’s capital Yerevan, which you can score £300 flights to from London. 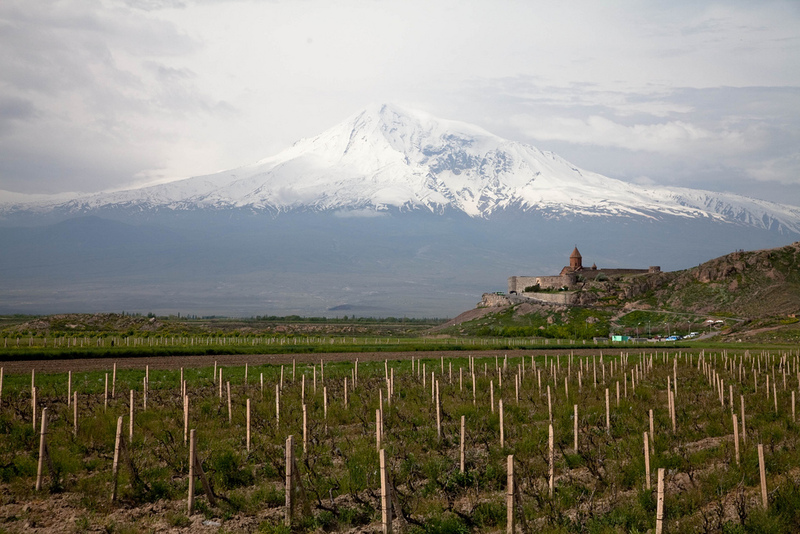 Get lots more information on the area on the even-more-amazing-than-it-sounds Armeniapedia.